If you haven't read my last blog yet, I'd recommend taking a few minutes to learn which kinds of changes you can make to your website this week so you can take full advantage of the points I'm going to cover today. Web analytics: what are they? Most businesses have a website in this day and age, but they aren't taking advantage of it to its full ability. Web analytics are simply statistics about your website traffic and users that lets you see where people are coming from, who they are, and what they're doing on your website. 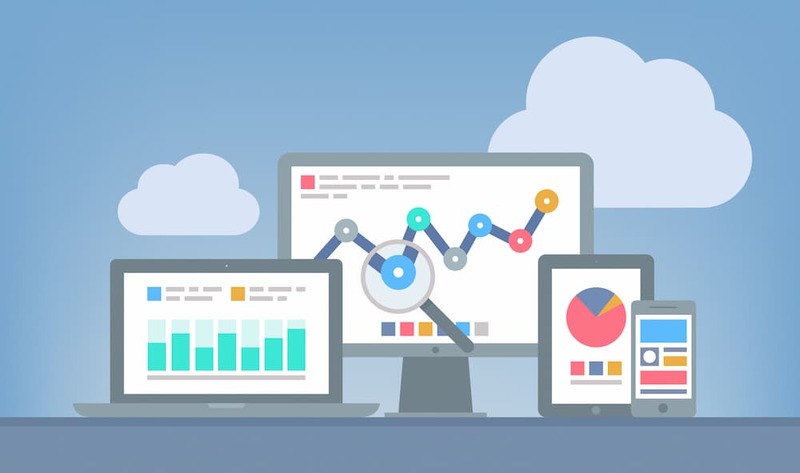 Analytics are easy to collect and view with Google's free service. Google Analytics is by far the most popular way that business owners and marketers keep track of their website traffic. At DMI, this is a service we install on every website we build and make it available to view at any time. where your website visitors are coming from. Collecting web analytics isn't as complicated as one would think. The way it works is quite simple: you put a tracking code provided by Google into your website and Google begins collecting the data and displaying it to you in your Google Analytics dashboard. DMI understands that inserting tracking codes into your website isn't always possible because you either didn't build your site yourself or don't have access to the back-end of it, which is why we take care of this step for the websites we build. What kind of data is useful to you? This is one of the most common questions that we get. The financial professionals that we build sites for love being able to see analytics from their website, but they want to know what they should do with that information. The answer to this question differs from person to person. Some businesses want to know how many people are coming to their site from search engines like Google or Bing. Others want to see the impact social media has on their website visits or if their landing pages are performing well during their radio show. From a web development perspective, I like to look at certain metrics that will let me know how I can improve the overall user experience of your website. The point is every business has different goals/key performance indicators, and by analyzing web analytics we can make adjustments in marketing strategy to support those goals. Being able to back up these adjustments in strategy with hard data allows business owners to move forward with much greater confidence. Let me offer a real-life example of how analytics can impact your business. While working with a $15 million annuity producer, DMI discovered that his website visits increased by roughly 25% during his radio show. Not only did visits increase, but we saw that visitors were particularly interested in learning more about the workshops that were being discussed on the radio show. To try to capture some of these visitors and turn them into prospects, we created a radio landing page that our client advertised directly on their radio show with a custom URL. We built this landing page with information about upcoming events and a simple form that allows someone to easily register for a workshop. The next week, the producer saw a 15% increase in workshop registrations which were linked directly to the landing page. Your website acts a catchall for many of your marketing efforts. Most business cards have your company URL on it, and your traditional and digital advertising should include this information as well. This is why knowing where your website visitors are coming from and how they're behaving on your website is so important. The bottom line is that web analytics matter to your business and you can easily use them to direct your marketing efforts better. They are best used in conjunction with an overall marketing strategy so you can actually quantify your efforts and see what's working and what isn't. DMI prides itself on offering this kind of service to the financial professionals that work with us — it's what sets us apart. Currently specializing in front-end web development, Chris graduated from Emerson College with a B.S. in Marketing Communication. Continually staying ahead of the ever-changing technology and developments, Chris is constantly looking to broaden his skills and use them to help DMI's clients increase their online visibility. When not developing sites for clients, Chris spends time making music.